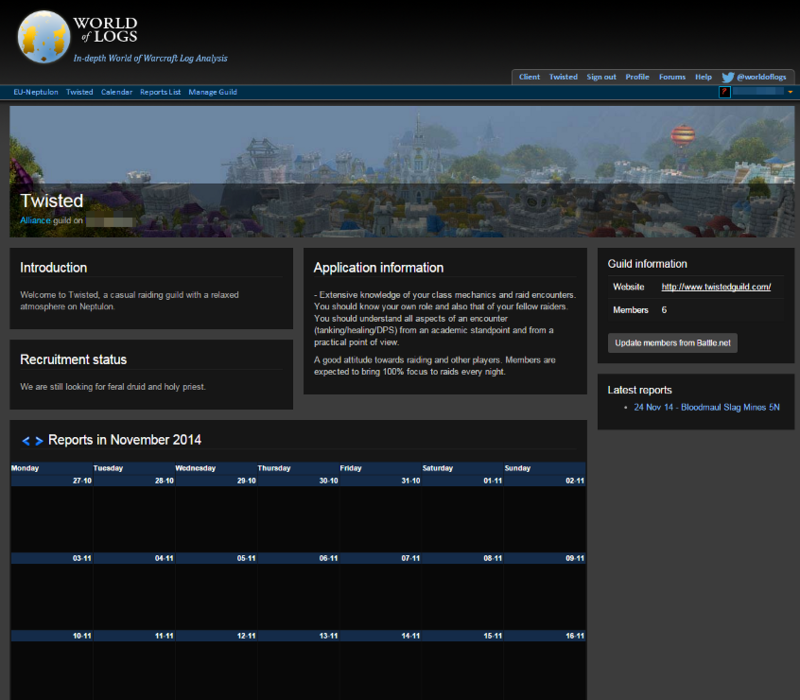 After you have uploaded your combat log to WoL using our client, you can access the combat logs on your guild page. You can easily manage your profile on WoL in the profile page. For first time users, you will need to follow some steps to setup your WoL client, before you can upload the combat logs. Here's we're going to discuss this step-by-step. 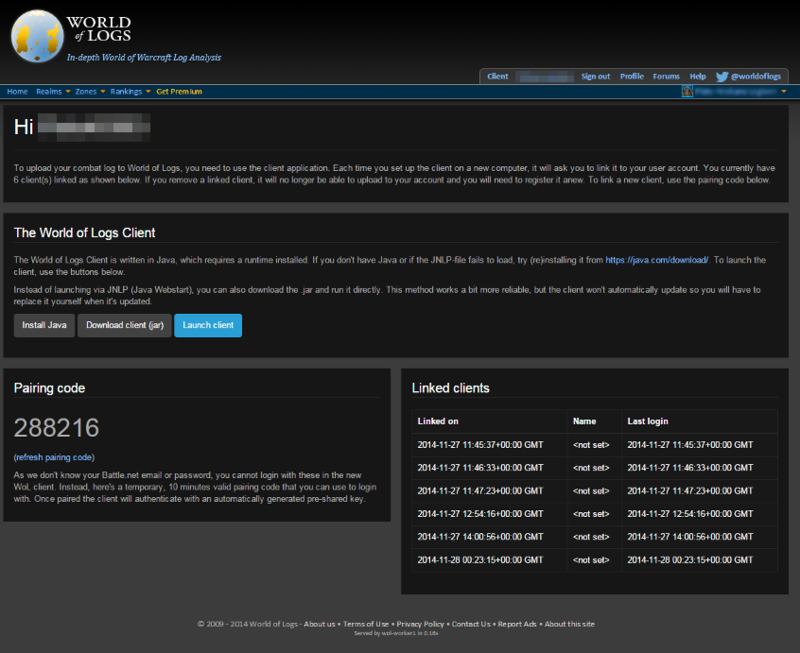 Note: You need to be signed in and be in a guild to access the WoL client. You can now sign in with your Battle.net account to access your profile on WoL. It's not necessary to create a seperate WoL account anymore. To learn more about the benefits of the Battle.net sign in, click here. 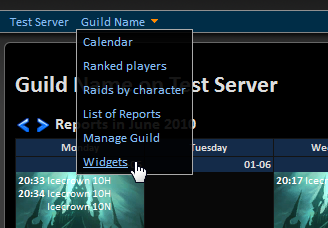 You can now fully customize your guild page on WoL, allowing you to provide useful information to your own guild and non-guild members. Widgets are small, embeddable blocks for us on your guild sites. We've implemented them as iframe tags. 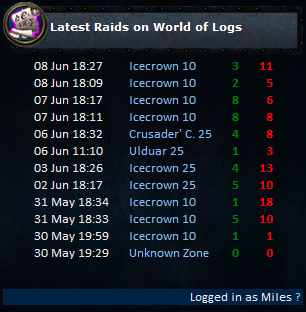 Currently, only the latest raids widget is available. Visit the guild page, hover over the name on the navbar to access the widgets page. The iframe can dynamically adjust between 250px to ~300px wide with the kill/wipe stats enabled. 170px is enough without. You can adjust the amount of rows via a setting to fit the height you've allocated for the widget.